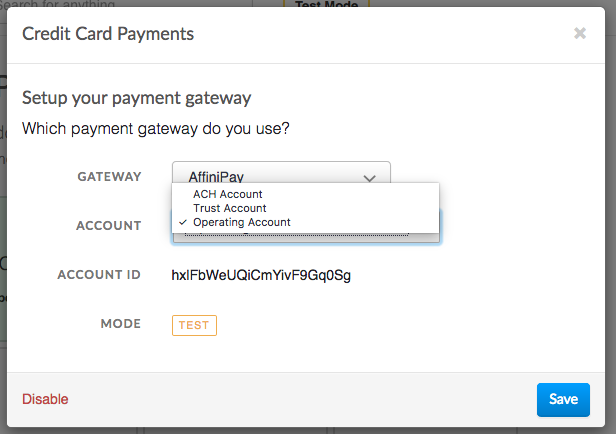 This document details how to connect the AffiniPay payment gateways (including CPACharge and LawPay) to accept payments and how our integration works. Connecting AffiniPay is a straightforward process. 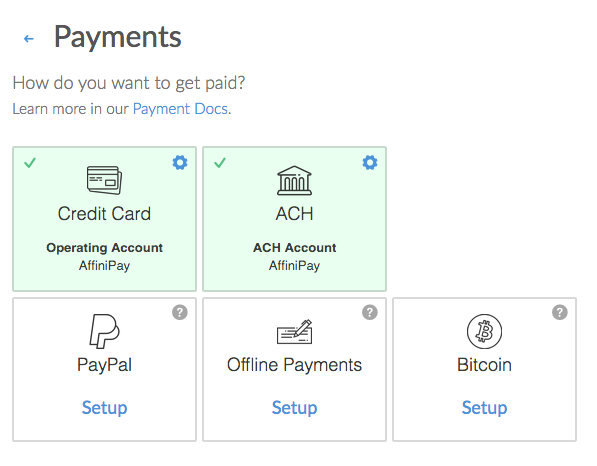 Follow these steps to start accepting payments through AffiniPay in minutes. These steps assume you already have a AffiniPay account. 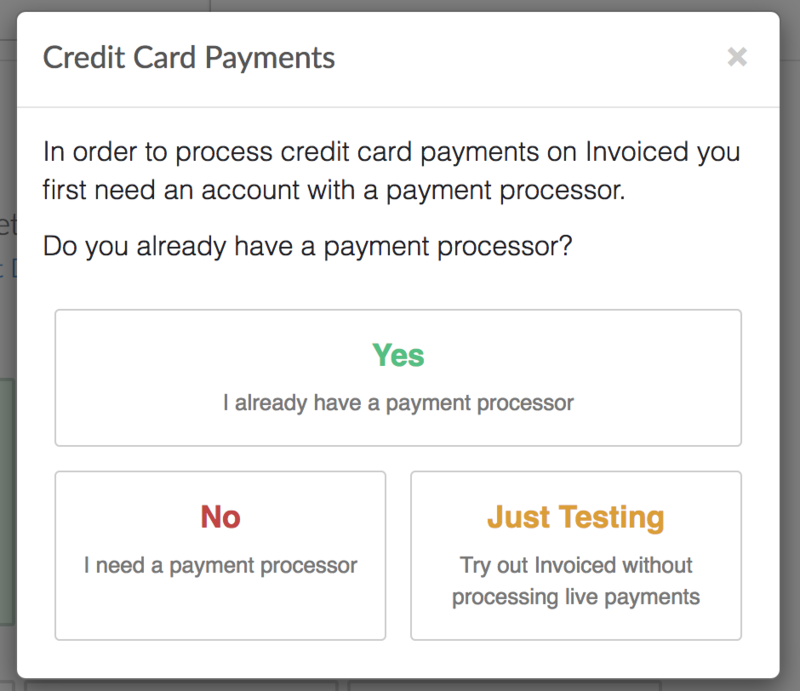 From the Invoiced dashboard go to Settings > Payments. 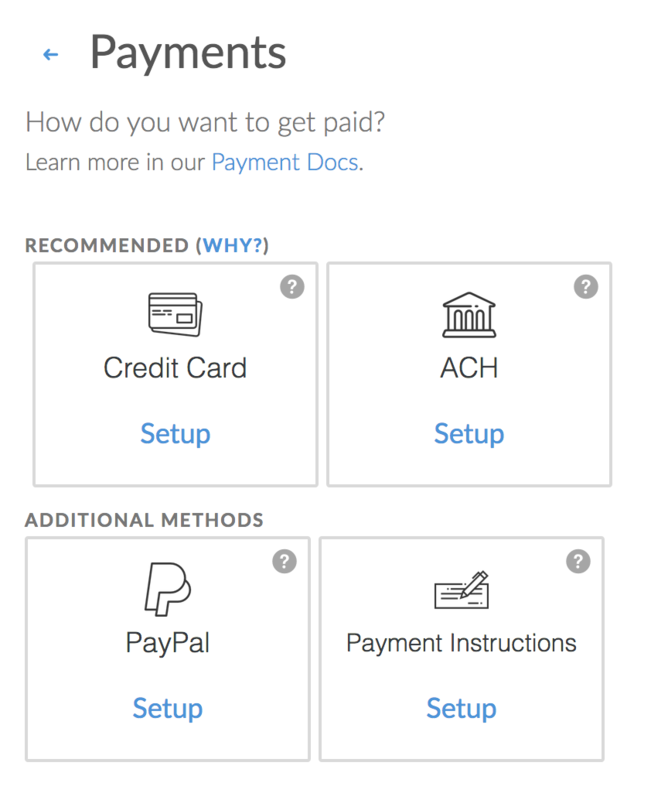 Click Setup on the payment method you want to accept. Select AffiniPay, CPACharge, or LawPay as the payment gateway. We will select LawPay in this example. 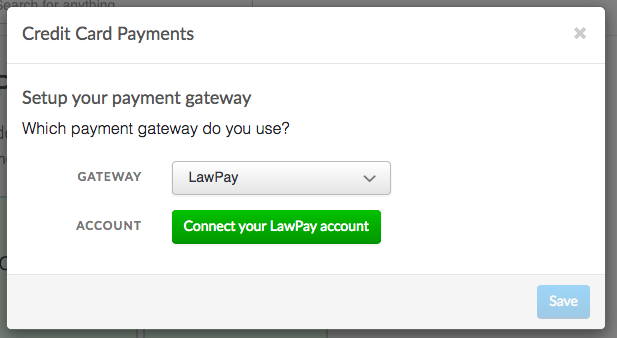 Click Connect to LawPay. 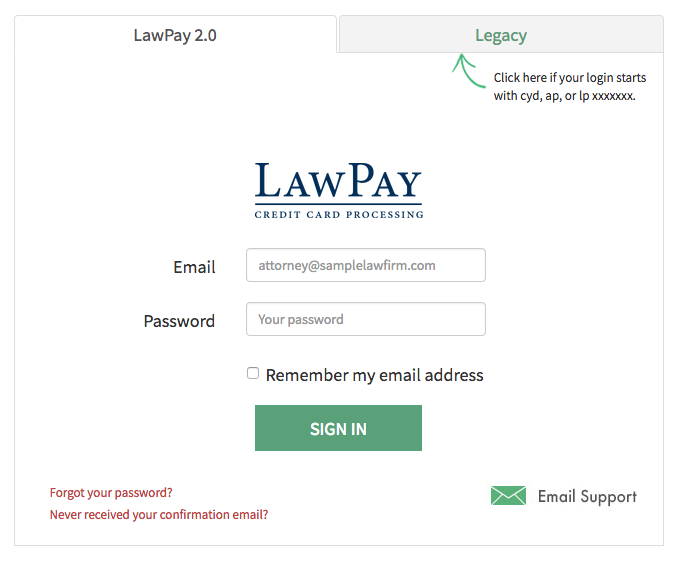 You will be taken to a screen to sign into your LawPay account, if you are not already signed in. Enter in your LawPay username and password and click Sign In. You then need to authorize the Invoiced application by clicking Authorize. Your LawPay account is now connected and the payment method is enabled. You might need to change the default AffiniPay account that will be used to receive payments. We will select the operating account by default, however, you may wish to receive payments in a different account. Go to the new invoice screen. Click Options in the top right. You should see a Merchant Account option if you have multiple LawPay accounts. Select the account where payment should go for this invoice. Finish creating your invoice as normal. Paying with credit or debit card is fairly straightforward for customers. They simply enter in their cardholder information and click Pay. We give receipts to your customers after a successful payment. Customers can pay with ACH just as easily as with credit cards. The key difference is that ACH payments will take several business days to clear. When customers are on a payment form they will select ACH as the payment information and then enter in their bank account and routing number. Need help with your AffiniPay account? You can get help through the AffiniPay support center or by calling 1-855-656-4685.